The “IT” factor: Why other businesses seem to have “IT” and you don’t. — We impact the world when we help small businesses. The IT crowd is the one that customers seem to love, banks seem to throw money to, and the owners always look like their living the good life. The problem is: you can’t figure out why. The answer is simpler than you think, and anyone can do it. Education and training for the small business owner are part of the prime contributing factors necessary to becoming part of the IT crowd. It’s that simple. Future economic expansion is dependent on the success of small business. Every time the total number of net small businesses increased, the entire economy experienced growth. 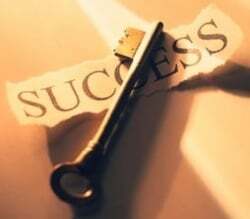 That being the case, we should seek ways to increase the chances for success for those willing to operate a business. One factor that is the best predictor of the future success of a small business is the education and training of its ownership. Education comes in many forms, but today, the most popular form is using non-formal concept based components. This format allows the small business owner to learn more about a particular topic or scenario, when he is experiencing it. This on-demand resource provides timely information to the small business owner to help him avoid a potential threat or take advantage of a great opportunity. Those owners that find and use external resources are more likely to succeed in building a long lasting business. They have a business that works for them, as opposed to demanding all of their time and money with no reward. These owners join networking groups to learn the lessons of other owners. They attend topic focused seminars designed to expose them to concepts that make other businesses successful. They read books and articles about how to take action in their business on a daily basis. They also use an education service designed to build on their current base of knowledge. In short, these owners, aka The IT Crowd, set aside time to work on themselves and their business, not just spend time working in their business. Approximately 25% of us strive to open a small business during our lifetime. Only a fraction of that number invest in formal education beyond high school or an undergraduate degree focusing on more advanced business practices. In spite of those educational odds, people still take a leap of faith and jump into business, many with overwhelming success. The reason for their success is the plethora of resources available to anyone interested in running a business. The topics are endless; and if you don’t know where to start, focus on topics designed to help you make money. Those topics include pricing strategy, expense control, funding and structuring the debt of a business, or anything related to maintaining and improving cash flow. Focus on the success of the small business will always be a topic in the overall health of the economy. Therefore, an ecosystem of resources will exist to support their growth and success. Small business owners are not born with the IT factor. They have not found a magic spell to make them more successful. Frankly, they may not even work as hard as you do. They simply take the time to learn the best way to operate a business. Even a novice baker wouldn’t expect a perfect cake without a recipe. In fact, they would likely have wasted $20 in ingredients. So you shouldn’t create a business without some type of resource to ensure you’re on the right track. Especially when thousands of dollars are at risk. Think of the IT factor as the people who use a recipe card to bake a better cake. The IT crowd has simply found a way to educate and train themselves to run a better business. Newer PostRun it like you’re selling it. Get the most out of your small business.